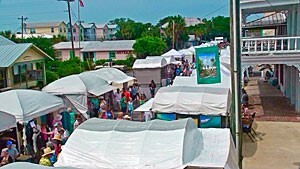 Named One of the Top Art Fairs in America by ArtFairCalendar.com for the second year in a row! The 55th Annual Spring Arts Festival (AKA Old Florida Celebration of the Arts) is planned for Saturday, March 30 (10am-5pm) & Sunday, March 31 (10am-4pm). 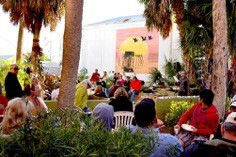 The Cedar Key Arts Center serves as the coordinating sponsor of the event and hosts the Saturday Evening Artists Reception and Awards Ceremony and Artist Breakfasts both Saturday and Sunday morning. Volunteers are needed to work at the information both, help the artists as block captains, help with set-up/take-down, work at the Children's Art Booth in the Park and assist with the Artist's Reception and Hospitality Center. 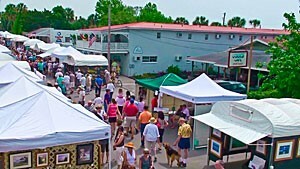 If you are interested in helping contact CedarKeyArtsFestival@gmail.com. For more information about the festival, our artists and our sponsors check out our website at www.CedarKeyArtsFestival.com or contact 352-543-5400 or CedarKeyArtsFestival@gmail.com.